Avocado is considered a high-calorie food, though the fat contained is heart-friendly monounsaturated fat. Avocados come in several types, and each has different calorie counts. California and Florida avocados are two popular types of avocado. Avocado calorie totals range from 277 calories for a whole California avocado to 486 calories for the larger Florida avocado, according to the USDA's MyFood-a-pedia calculator. Avocado juice might not be 100 per cent pure avocado. Added water, lemon juice, orange juice or any other ingredient can change the total calories. Check the label of packaged juices for added ingredients. Fruit juices often contain more calories than whole fruit pieces, according to the Food and Nutrition Education Program from the University of Arkansas. This is particularly true of packaged juices. Fruit juices can have around 25 percent more calories than whole fruit. 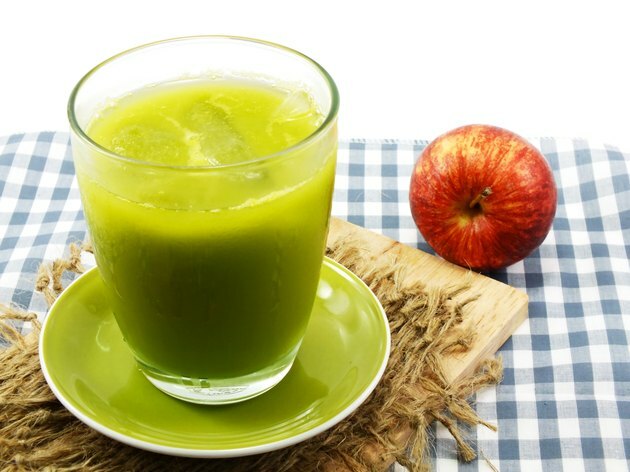 Therefore, 1 cup of California avocado juice might have around 277 calories compared to 222 calories in an unjuiced fruit.